In the 1970s the revolution that had swept the British theatre in the 1950s had already become accepted as the new establishment. Areas that had been previously regarded as remote ideals - including permanent repertory companies, a lively provincial theatre and an extensive spread of avant-garde and fringe theatrical activities - were now considered commonplace. 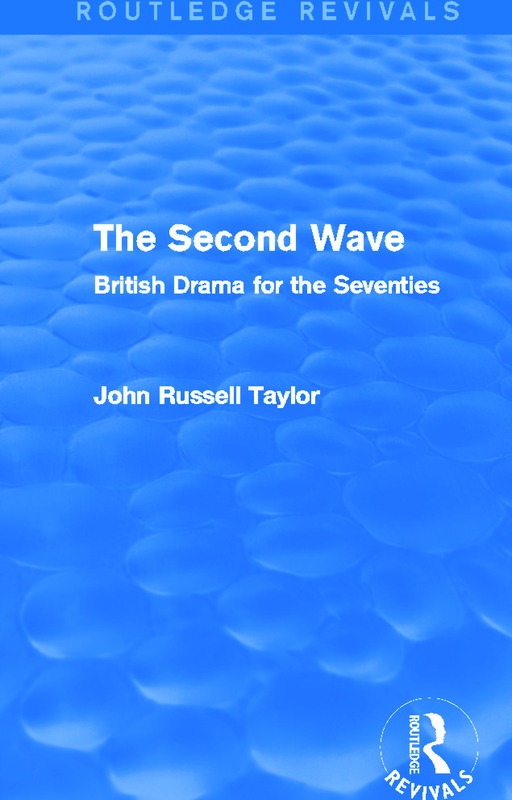 In this title, first published in 1971, John Russell Taylor assesses the prospects of the British theatre at the start of the 1970s and indicates its points of weakness and its strengths. In this context are placed the key figures among the second wave of dramatists, and detailed critical commentaries on the work of writers such as David Mercer, Tom Stoppard and Peter Terson. This is an indispensable introduction for any student with an interest in the history and development of the British theatre and the people who have played instrumental roles in this.